Embezzlement is the illegal transfer of money or property for personal use through abuse of an official job or position of trust. Embezzlement can take many forms. An accountant might use sophisticated methods to falsify records and skim profits, while a bank teller might walk home with an extra 20 dollars from his or her drawer. Embezzlement charges are usually pressed in conjunction with an internal investigation of some sort, since embezzlement normally takes place at a place of employment, such as an office. Charges of embezzlement can carry serious consequences regardless of the guilt or innocence of the defendant; accusations of embezzlement are embarrassing, and can carry a lasting social stigma. Many individuals charged with embezzlement find that they are so uncomfortable that they change jobs, even if charges prove false. Embezzlement charges can be filed for almost any amount of funds: the recent high-profile embezzlement cases involve the misappropriation of millions of dollars, but an accusation of embezzlement may concern almost any amount of money, no matter how small. 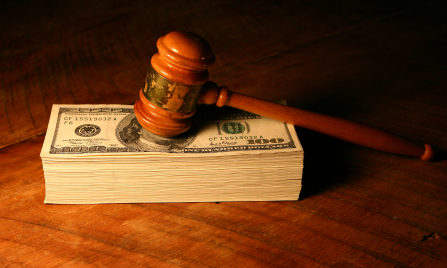 The sentencing in an embezzlement trial usually takes into account the amount taken, in addition to other factors. The alleged embezzlement may also take different forms, and in some cases, the line between appropriate use and embezzlement may not be entirely clear. It is important to retain an attorney with experience in embezzlement cases in order to get the optimal outcome; a lawyer who is not familiar with the nuance of embezzlement law may miss an opportunity for dropped or reduced charges or acquittal. To discuss embezzlement laws and specific case information contact The Sheena Law Firm today.